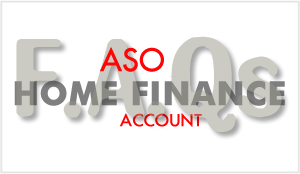 What is ASO Corporate Account? The ASO Corporate Account allows sole proprietorship; private and public limited liability companies, NGOs and Religious organisations transact business and deposit funds in a secure and conducive banking environment. What information is needed to open a Corporate Account? Please view the Corporate Account Opening check list. You can open a business account by visiting any one of our branches locations or online. How do I add another signer to my account? To add another signatory, customer must write the bank indicating this interest, thus a new mandate card must be obtained and completed with all the signatories (both new and existing) sign on. Will an ATM Debit card come with my ASO account? We don't issue debit cards for Corporate Accounts with more than 1 signatory, However, if there is a sole signatory, we will produce a debit card UPON REQUEST. Please contact us immediately to report a lost or stolen ATM card or visit an ASO Financial center. You can order a replacement card at the same time. DNFBP is an acronym for "Designated Non-Financial Businesses and Professions". SCUML means Special Control Unit against Money Laundering and is charged with the responsibility of monitoring, supervising and regulating the activities of Designated Non-Financial Institutions (DNFIs). Which Businesses and Professions (DNFBPs) Are Currently Being Regulated By SCUML? Where can I obtain the registration form? Registration forms are available in the branches for onward submission at SCUML offices or can be downloaded via this link; http://www.scuml.org. When is the deadline given by CBN, for existing customers to update their account information with the evidence of registration? The deadline is the 31st of January 2013. Will customers be collecting their certificates at the branches? What categories of customers are expected to comply with this Directive? What are the requirements for SCUML registration? Article and Memorandum of Association. Tax Clearance Certificate (Not Applicable to NGOs). Authorised Operational License (Not Applicable to NGOs). Agreement Signed between the NGO and the National Planning Commission (For International NGOs Only). Where are the SCUML offices located? 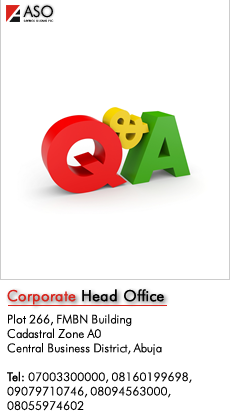 Port Harcourt zonal office: 8, Bank Road, (off Moscow Road), Port Harcourt, Rivers State. Enugu Zonal office: Plot 106 Federal Government college road, Independence Layout, Enugu. Gombe Zonal office: No.4, EFCC Street, New G.R.A Gombe, Gombe State. Where can I make enquiries on the CBN KYC requirement? What is a dud cheque? What action does the Central Bank of Nigeria (CBN) require my bankers to take should I inadvertently issue a dud cheque? Your bankers are required to send names of its customers who have issued up to three (3) dud cheques to the CBN. So if you issue dud cheques up to three times, ASO will be constrained to send your name to the CBN. Is it true that I need to make a pledge not to ever issue dud cheques? Yes, you do. The CBN requires that you give your bankers a written pledge that you will never issue a dud cheque. ASO has made this easier by creating pledge forms you can use for this purpose. Please see your Relationship Manager or branch Customer Service Officer for a copy of this form for your use. How do I give my bank my pledge not to issue dud cheques? Are there any penalties if I inadvertently issue dud cheques? Yes there are. ASO will be constrained to send your name to the CBN who could then forward same to EFCC for further action. Why is the CBN doing this? The CBN's action is geared to support its Cash Lite policy and improve customer confidence in the use of cheques as a medium of payment.